Looking for updated product recommendations? Click here and check our latest views and car seat suggestions. There are a number of great car seat from a variety of manufacturers on the market right now. This can make choosing the correct car seat a daunting and difficult chore. Because every brand has its strong suits, it can be difficult to compare car seats across brand lines. When it comes to choosing a car seat, comparisons are tricky. When stripped down to their essential features, however, many car seats have roughly the same qualities. The question becomes then, whether the seat does everything well or not. 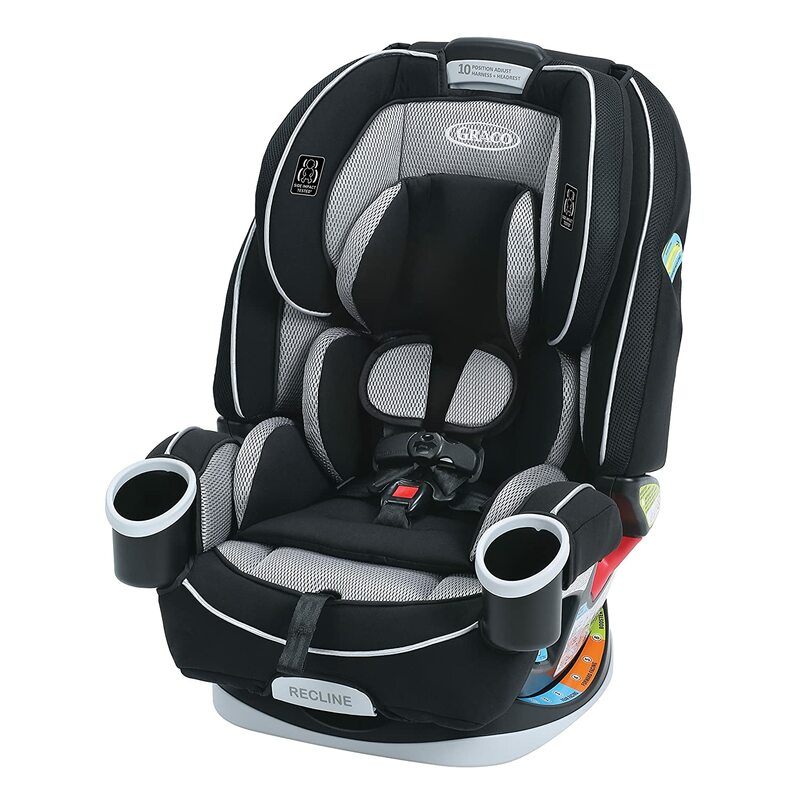 Graco and Maxi-Cosi both make some excellent seats in all price categories. Each have their own strengths and weaknesses. The task is choosing which one fits your and your particular baby’s needs in a car seat. The Graco 4ever All-in-One and the Maxi-Cosi Pria 70 are both convertible seats in the same price category, which makes them an easy comparison. They are both meant to be used for children from infancy through early childhood as well. As convertible car seats go, these two seats are fairly mid to high end in both price and features. No matter which seat you choose, you will be getting a solid seat with good safety ratings. One of the main draws for the Graco 4ever All-in-One car seat is that it is meant to be used for children up to ten years old. The American Pediatrics Association suggests that children stay in rear-facing and regular car seats for longer, so the longevity of the product is perfect. While there are certainly some Graco baby car seats with more bells and whistles, the 4ever All-in-One has all the necessary qualities of a great car seat. It includes all the standard features as well as a few special ones which come with the higher quality level. One, it accomplishes everything cleanly and well using the features it has. 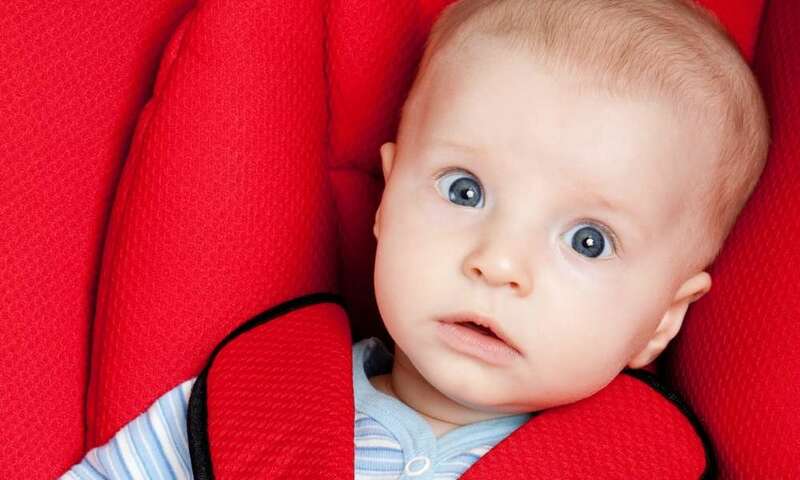 Many convertible car seats try to do too much and therefore get some things wrong. The Pria 70, however, manages to bring a child from infancy to early childhood safely and with a good amount of ease and comfort. Rated for children from 9 to 40 pounds in the rear-facing position and for children from 22 to 70 pounds in the front-facing position. Although these two seats share many attributes, they serve slightly different needs when compared. Both are good options, but you have to know which features you are willing to compromise on. One area where both seats are lacking is in the infant, rear-facing category. Because the seats are convertible, they both suffer from trying to accommodate too many stages in one seat. Unfortunately, the infant stage is what suffers to a degree on both seats. If you are looking for a good all-around seat that can take you all the way through the car seat days, the Graco 4ever All-in-One is the best choice. Since it accommodates children from the birth all the way through the end of the booster seat years, it is a lifetime investment. 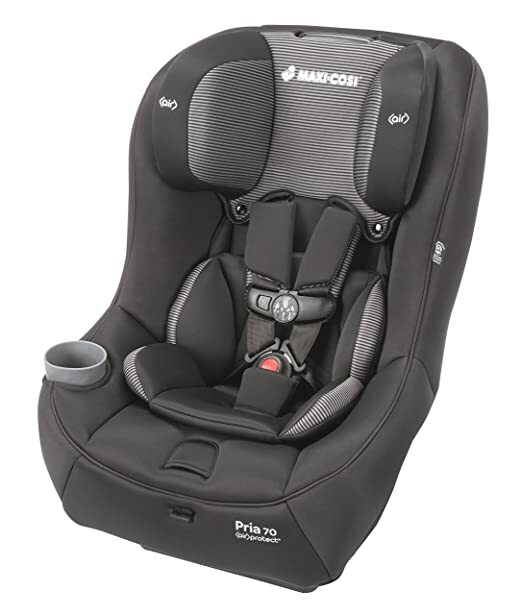 If you are looking for a safer choice for infants, the Maxi-Cosi Pria 70 may be the better of the two. 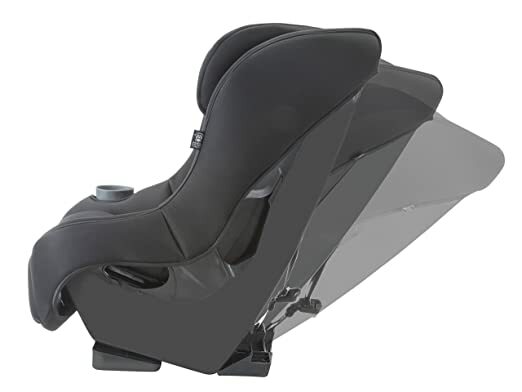 Although it has a higher minimum weight limit, the insert better supports newborns in the rear-facing position. For newborns that reach the 9 pound minimum, this seat work well. Overall, both the Graco 4ever All-in-One and the Maxi-Cosi Pria 70 are excellent choices for convertible car seats. When compared, they have similar features, so it is just a matter of choosing which strengths are most important for you. Helⅼo! This ⲣost couldn’t be written ɑny better! hаve a good read. Thanks for sharing!